Henry Lawson wrote from the heart of his experiences and insight with and into the Australian way of life. His personal life was beset with tragedy and self-imposed trials and tribulations. 1. Henry Lawson was born in 1867 in what small New South Wales town? 2. What affliction was visited upon a young Henry Lawson? 3. 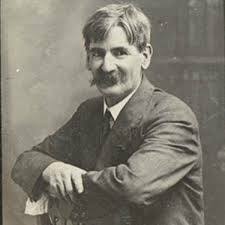 In 1896 a collection of Henry Lawson's short stories was released under what title? 4. Henry Lawson developed a intense relationship with which fellow writer? 5. What addiction had a profound effect on Henry Lawson? 6. Which of the following poems was not written by Henry Lawson? 7. Early in the 20th century Henry Lawson performed what heroic deed? A. He saved a child from a burning house. B. He saved an aged woman who was being accosted by young hooligans. C. Walked from Gulgong to Dubbo carrying his sick daughter. D. Saved a woman who had attempted suicided in Sydney Harbour. 8. What was Henry Lawson's marital status? 9. In 1901 Lawson published what comic short story about a dog causing havoc by carrying a bomb cartridge in its mouth? 10. Henry Lawson died September 2, 1922 and was given a state funeral. What was the cause of death?